"The Singing Sands" redirects here. For the 1952 Josephine Tey novel with the same title, see Josephine Tey § The Singing Sands. The TARDIS crew lands in the Pamir Mountains of the Himalayas in 1289, their ship badly damaged, and are picked up by Marco Polo's caravan on its way along the fabled Silk Road to see the Emperor Kublai Khan. The story concerns the Doctor, his granddaughter Susan Foreman and her teachers Ian Chesterton and Barbara Wright, and their attempts to thwart the machinations of Tegana, who attempts to sabotage the caravan along its travels through the Pamir Plateau and across the treacherous Gobi Desert, and ultimately to assassinate Kublai Khan in Peking, at the height of his imperial power. The Doctor and his companions also attempt to regain the TARDIS, which Marco Polo has taken to give to Kublai Khan in effort to regain the Emperor's good graces. Susan gets the TARDIS key from Ping-Cho but is captured by Tegana before they can depart. They are finally able to thwart Tegana, who kills himself, and, in doing so, regain the Emperor's respect for Marco Polo, who allows them to depart. 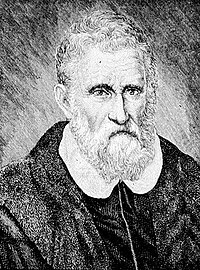 The serial features the Italian merchant and explorer Marco Polo, as well as some of his friends and associates. Show creator Sydney Newman suggested writer John Lucarotti, an old colleague from the Canadian Broadcasting Corporation, to the production team during the show's early development. Story editor David Whitaker contacted Lucarotti to write for the programme; Lucarotti, who had recently worked on the 18-part radio serial The Three Journeys of Marco Polo (1955), was commissioned on 9 July 1963 to write a seven-part serial about Italian merchant and explorer Marco Polo, titled Dr Who and a Journey to Cathay. While developing the storyline, Lucarotti struggled with the fourth episode, and used anecdotal material from Polo's memoirs, The Travels of Marco Polo, to pad out the plot. The serial was originally placed third in the show's running order, to begin broadcast on 18 January 1964, but was pushed back to fourth to accommodate the two-part "filler" serial The Edge of Destruction. Waris Hussein, who worked on the show's first serial, was selected as the director for Marco Polo; John Crockett directed the fourth episode in Hussein's absence. The serial's designer, Barry Newbery, used Aurel Stein's Ruins of Desert Cathay (1912) and Nelson Ikon Wu's Chinese and Indian Architecture (1963) for research of the 13th century designs. Newbery also found that Korean architecture from 1900 was similar to that of the 13th century. The incidental music for the serial was composed by Tristram Cary, who previously worked on The Daleks. Cary used conventional instruments for the score, including flute, harp and percussion, and he recorded electronic voices for the second episode's sandstorm scenes. Mark Eden was cast as Marco Polo; Hussein had seen Eden in the Royal Shakespeare Company's production of A Penny for a Song in 1962. While the serial's narration was originally scripted for the Doctor, Ian and Barbara, Hussein decided to make the story more personal to Polo, and the narration was rewritten for Eden. Derren Nesbitt was cast as Tegana, having appeared in several historical film series in the 1950s. For the role of Ping-Cho, Hussein wanted an "oriental" actress who had not appeared in the West End production of The World of Suzie Wong or the film 55 Days at Peking (1963) due to the prominence of the productions. Actress Zienia Merton auditioned at Hussein's home, and was offered the role. William Russell was unhappy with sudden rewrites minimising the role of his character, Ian Chesterton, in the serial, and his agent wrote to BBC's head of serials Donald Wilson; Wilson replied to Russell's agent, assuring that he would "be watching very carefully" to ensure the scripts "use [Russell's] talents to the maximum". The fifth episode featured an untrained spider monkey, who the cast found difficult to work with; Carole Ann Ford, who portrayed Susan Foreman, recalled that "it was a nasty little thing peeing all over the place and biting anyone who came near it". A week of shooting took place at Ealing Studios from 13–17 January 1964, consisting mostly of inserts of locations and props for the montage sequences. Rehearsals for the first episode ran from 27–30 January, and the episodes were recorded weekly at Lime Grove Studio D from 31 January to 13 March. When William Hartnell became ill in the first week of February, quick rewrites were performed on the second episode to eliminate the Doctor from most scenes; Hartnell only had one line of dialogue in the episode. For the sandstorm in the second episode, a wind machine was used, with other footage superimposed on top; Hussein was unhappy with the effectiveness of the effect, later stating that "it looked like everyone's aerials had blown over". Merton recalled the wind machine blowing sawdust into her eyes, rendering her unable to see for the rest of the scene. During camera rehearsals for the sixth episode, Eden's right hand was accidentally lacerated by a dagger used by Nesbitt. The first episode was broadcast on BBC TV on 22 February 1964, and was watched by 9.4 million viewers. The following two episodes maintained the same viewing figures, rising to 9.9 million for the fourth episode, before dropping to 9.4 million for the fifth and 8.4 million for the sixth; from the sixth episode, the show's broadcast time was pushed a further fifteen minutes, from 5:15pm to 5:30pm, overlapping with competitor programme ITN News. The final episode was watched by 10.4 million viewers. The Appreciation Index dropped slightly across the seven episodes, from 63 to 59. The serial was sold widely overseas, but was erased by the BBC on 17 August 1967; the entire serial is missing as a result. It is one of three stories of which no footage whatsoever is known to have survived, though tele-snaps (images of the show during transmission, photographed from a television) of Episodes 1–3 and 5–7 exist, and were subsequently released with the original audio soundtrack, which was recorded "off air" during the original transmission. The serial received positive reviews from television critics and viewers. Following the broadcast of the first episode, the BBC Programme Review Board noted that there were "several appreciative notes" on the show. Philip Purser of The Sunday Telegraph noted that Eden impersonated Marco Polo "with sartorial dash", but felt that the main characters were poorly written, describing Barbara as "a persistent drip". In a 2008 review, Mark Braxton of Radio Times praised the serial, stating that "the historical landscape was rarely mapped with such poetry and elegance", though noted inconsistencies in the foreign characters' accents. In Doctor Who: The Complete History, editor John Ainsworth described the serial as "exotic and arresting", praising the simplicity of the narrative and exploration of the characters. The serial also gained the attention of two sources for further development: in June 1964, Young World Publications showed interest in adapting the serial for the Super Mag comic series, but were turned down as the comic rights had been sold to TV Comic; and in July 1964, The Walt Disney Company approached the BBC for the film rights to Marco Polo, though no developments were made. A novelisation of this serial, written by Lucarotti based on his original scripts, was published in hardback by W. H. Allen & Co. in December 1984, with a cover painting by David McAllister; the paperback was published by Target Books in April 1985. A three-CD set of the audio soundtrack was released in November 2003, as part of the show's 40th anniversary, with linking narration by William Russell and a fold-out map of Polo's journey. This was later re-released as part of Doctor Who: The Lost TV Episodes: Collection One in August 2010 by AudioGO, along with the original camera scripts of the episodes. A condensed 30-minute reconstruction of the episode, compiled by Derek Handley, was released as part of Doctor Who: The Beginning on 30 January 2006, using telesnaps, photographs, and the off-air soundtrack recording. The telesnaps were also published in a Doctor Who Magazine special edition, The Missing Episodes – The First Doctor, in March 2013. ^ Ainsworth 2016, p. 48. ^ Ainsworth 2016, p. 49. ^ Ainsworth 2016, p. 65. ^ Ainsworth 2016, p. 52. ^ Ainsworth 2016, p. 53. ^ Ainsworth 2016, p. 67. ^ Ainsworth 2016, pp. 67–68. ^ a b Ainsworth 2016, p. 71. ^ Ainsworth 2016, p. 60. ^ Ainsworth 2016, p. 63. ^ "Doctor Who, Season 1, Marco Polo - The Fourth Dimension". BBC. Archived from the original on 26 March 2019. Retrieved 27 March 2019. ^ Ainsworth 2016, p. 64. ^ Ainsworth 2016, p. 69. ^ a b Ainsworth 2016, p. 78. ^ Ainsworth 2016, p. 76. ^ Ainsworth 2016, p. 38. ^ Chapman, Cliff (11 February 2014). "Doctor Who: the 10 stories you can't actually watch". Den of Geek. Dennis Publishing. Archived from the original on 24 February 2018. Retrieved 24 February 2018. ^ Ainsworth 2016, p. 74. ^ a b Ainsworth 2016, p. 77. ^ Braxton, Mark (3 October 2008). "Marco Polo". Radio Times. Immediate Media Company. Archived from the original on 25 February 2018. Retrieved 25 February 2018. ^ Ainsworth 2016, pp. 38–39. ^ Ainsworth 2016, p. 79. ^ "Missing Episodes special edition of Doctor Who Magazine". DoctorWho.tv. BBC. 21 March 2013. Archived from the original on 25 February 2018. Retrieved 25 February 2018.